The E-Plex 5000 is ideal for securing sensitive access points in multiple settings, especially for facilities that are growing in size. You’ll appreciate fully audited access control without the costs and problems of issuing, managing and collecting keys or magnetic cards. Easy to install and maintain, requiring no wiring to or through the door. The Simplex and E-Plex 5000 Series is the complete toolkit for all your access control needs. 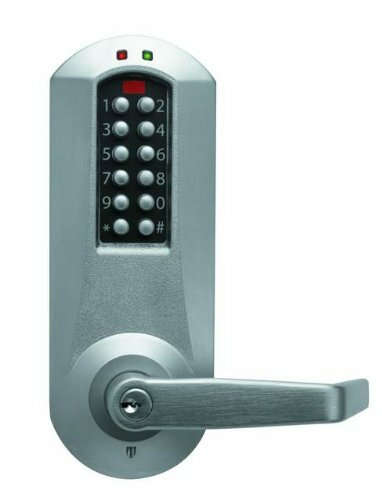 Built on five decades of reliable and convenient keyless entry, this Series provides everything from the simplicity of mechanical single code access to the added security and features of electronic access control. View More In Locksets & Handles. If you have any questions about this product by E-Plex, contact us by completing and submitting the form below. If you are looking for a specif part number, please include it with your message.